Guess What: We are Evolving! 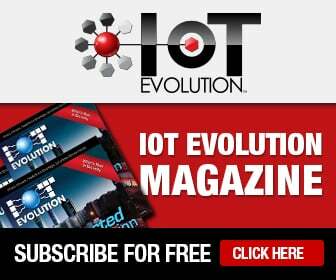 IoT Evolution is refining its focus on the enterprise and the impact of IoT in business. Now, to be clear, we have a lot of education to do in the enterprise. Indeed, we have given out more than 20 business impact awards in our history and none of the customers who implemented IoT started out by asking for IoT. You see, besides IoT being a market of markets, IoT is a market of solutions and services. There are as many IoT solutions as there are vertical markets, and the terminology they use is based on the markets they support. Inventory management as a broad topic spans from AirBnB to ZipCars. Supply chain spans from agriculture cold chain to worldwide supply chain distribution. Field operations can include everything from automatic meter reading in smart cities to drone surveillance of oil and gas pipelines. The terminology associated with IoT is broader than the classification. The diversity of solutions is further obscured by the ease of implementation. For operations, IoT can be a direct application and quick fix, while for IT the big data from IoT lends itself to a perpetual request by executives for new features and visual analytics. And that assumes that operations and IT are in communication. A friend with a history of shepherding new technology in the enterprise points out that it’s hard to think of IoT as a place for a champion within the corporation. You can deploy the technology within a project, but it’s hard to imagine that IoT becomes a line of business in its own right. While his point is valid, we have seen the term IoT grow in the enterprise. Our search tools, which had no results two years ago, have now found more than 200 people now with IoT in their title. Our goal for 2017 is to make IoT Evolution the place where IoT’s impact on business is identified, taught, and highlighted so that all aspects of IoT become referenced and lead to best practices. We face a problem I call the Pareto Paradox. The 80/20 rule applies to IoT in the following way. We are going to see 80 percent of the devices created for consumer applications. Meanwhile, 80 percent of the value of IoT will be found in enterprise deployments. However, the consumer and millennial consumption of IoT is going to be a key driver in the adoption and adaptation of IoT in the workplace. As we approach the 10-year anniversary of the iPhone, we need to acknowledge its impact on business and how it helped to accelerate cloud-as-a-service solutions with mobile-first principals. Connected living is making it so that expectation is high that our surroundings are interactive with us and that we can impact change in real time with insight from our assets. Whether we are managing the machines that produce goods, the inventory of the goods, or the services that support our business and customers, the expectation is that we can gather information and improve our business intelligence. And, in fact, the information and patterns will be so recognizable that the machines can learn to react appropriately. A key aspect of connected living is how machines impact the adoption of human interaction. As younger generations join the workforce their personal habits make innovation more mainstream. So by the time millennials hit thirty-something, the expectation that IoT solutions like augmented reality will be part of corporate training and real-time dashboards will be part of the day-to-day workflow. How these changes come into the enterprise will not happen in a flash cut, but in a series of improvements featuring bottom-up and top-down implementations. The perspective of operational IoT will feature practical improvements in alarming, monitoring, and maintenance, where sensors can be used to impact production and field deployments. In addition, machinery is being updated with new features including the use of remote support systems to help monitor and optimize these tools. For IT, the IoT puts the emphasis on information. IoT’s real-time data collection is a giant contributor to why everyone is talking about big data, but the value is in understanding how to manage the data and not just in gathering that data. Evaluating and executing is the key to successful analytics. However, there are some cultural hurdles to overcome since often the data seems counter intuitive and requires IT to work with operations to show the relevance of the data. The bottom line is the biggest benefit to IoT may not be in the life style changes we receive from connected living, but the changes in enterprise operations, management, and workflow by utilizing IoT.